The new 2012 catalogs are out, and while we're a bit late getting them online you can still secure your preorder with Trainz.com! The sooner you order the better your chances of securing your item on the release date, but you can still place orders even after the manufacturers' cut-off date. Browse the 2012 MTH Ready to Run Catalog. The MTH Ready to Run Catalog includes everything you need to build a miniature world of your own - or just put up a train around the Christmas tree, or anything in-between. Browse the 2012 Lionel Signature Edition (Volume 1) catalog. Lionel is hoping that everyone can find something they "can't live without" in the latest Signature Edition catalog. With tons of new catalog additions, we're pretty sure you will. Browse the 2012 Lionel Ready to Run Catalog. Check out Lionels latest additions to their line of complete ready to run sets. It truly is a great place to get started. Browse the 2012 American Flyer Catalog. This year Lionel has added a whole new catalog specifically dedicated to American Flyer. It's a touch of old Flyer styling and craftsmanship with all the latest technology on board. Check out the articulated 208082 steam giants and the modern SD70ACe diesel, both equipped with LEGACY electronics and the Railsounds sound system. Our preorder program is a little different than buying new products and collectibles at Trainz.com. To learn all the details please visittrainzpreorder.com and check out the FAQ. 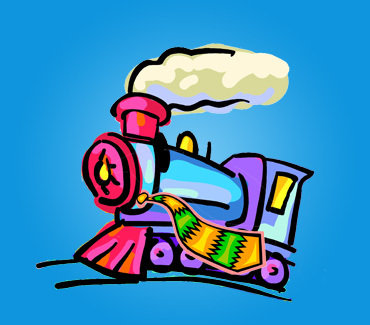 Thanks for Shopping with Trainz.com! Check Out this Fantastic Deal! Here is a Lionel 11722 Girls Train Set from 1991. This set is a remake of the classic Lionel Girls' Set from 1957-58. This set includes a Die-cast Locomotive & Tender, two Box cars, a Gondola, a Hopper and a Caboose. It comes with track, an AC Transformer, lockon, and wires. Run a fair bit, this set has a few scratches on the locomotive and tender bodies. The locomotive has a few small chips in the paint around the steam chests and cattle guard. The cattle guard also has a small crack where it attaches to the boiler frame. The lettering on the tender is fading on one side. The freight cars are in good shape with very few minimal scratches on the bodies. There are a couple small spots of rust on the locomotive's trailing truck. The track shows just a few small signs of use with a few scratches on the rails and bases; no rust. The original box is included. This item has been quick tested by our repair department and is fully functional. Overall condition is Very Good+. The Trainz SKU for this item is 3382760. Lionel Signature 2012 Preorders Are Ready! - Select add to cart to add items to your shopping cart. - When finished shopping, complete your checkout by simply filling out your shipping & billing info. - If paying by credit card, at checkout time your card will be authorized (not charged) $1.00 to validate your card. Call Us - To place your order call 1-866-285-5840 and press 3 for pre-orders. You can choose to secure your preorder with a credit card. You will only be billed as the items you preordered are shipped to you. There is no up-front charge. We do not accept PayPal as a method of payment for preorders. You may now secure your preorder with a check or money order. With this option, you must pay in full when submitting your preorder. When your order is complete, you will receive an email with a summary of your order information. We will ship items to you immediately upon receiving them from the Manufacturer! We charge a 10% fee for cancellations. Save an additional 3% if you pre-pay! Trainz is now accepting pre-payments on all preorders and warranty upgrades. If you choose a warranty option and want to pre-pay your purchase, both the product and warranty must be pre-paid together. If you choose to pre-pay, all items on your order must be pre-paid. Items that are ordered after the initial manufacturers’ deadline are not guaranteed to be available from the manufacturer by Trainz and may result in us having to cancel your order due to the manufacturer selling out. This is an extremely rare occurrence. We work with many people in the industry and usually don't have any problems finding what you are looking for, even when we can’t fill your order directly from the manufacturer. Up to date Lionel release dates can be found at http://lionel.com/Products/ShippingSchedule/index.cfm. Please bookmark this page for easy reference.